Tony, a mid-tier executive, told me of the time he was returning from a product briefing interstate. By coincidence he found himself sitting next to Greg, the head of the international arm of the business he worked for. They’d never met before and, like many senior executives, Greg was inquisitive and asked great questions. He asked Tony what he hoped to achieve in his career. As it happened, Tony had a well – articulated career narrative to share. He told how he’d been with the business for five years and had been promoted three times, all because of his ability to restore failing company brands. He was seen as Mr Fix-it! It came down to understanding consumer buying behaviour and tapping into the potential of his direct reports. He explained how he saw his next promotion to Marketing Director, but felt that was a little way off just yet. One day, he said, he’d like to lead a business unit. This talk gave Greg a real sense of Tony’s capability and potential. Clearly, he’d met a rising star within the ranks. Soon after he sent a note to Tony’s boss, noting the meeting and just how impressed he was. Six months later Tony was promoted to a Marketing Director role in Latin America. There’s little doubt that chance meeting made all the difference and Tony’s well-articulated aspirations turned out to be career defining. 1. Build a picture of you as a business asset, rather than just an executive. Make sure it aligns your capabilities and successes in ways that are relevant to the business. 2. Audit your skills and capabilities, removing career limiting weaknesses: it becomes your defining affirmation. 3. Connect your skill sets and successes to your career ambitions. 4. Present yourself as confident, self-aware and thoughtful. 5. It must be built on truths. You have to be able to expand on the elements under questioning. You’ll soon be found out if it doesn’t stand-up to scrutiny. There are some golden rules with the narrative. Write it out and edit it until it is crisp and succinct. Make sure you can retell it time and time again ensuring it remains authentic. Think in terms of ‘My successes, my strengths and my ambitions’. I came out of the advertising business – I know great ad copy sells the ‘sizzle’ not the steak. The same applies to a career narrative. 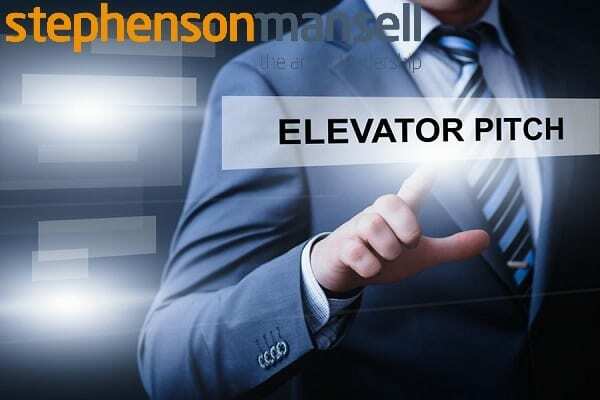 Will you be ready, like Tony was, when someone important asks the question ‘Tell me about yourself?’ If you don’t have your elevator pitch ready, now is the time to work on it. Otherwise you could miss out on that career-defining opportunity that could be just round the corner. 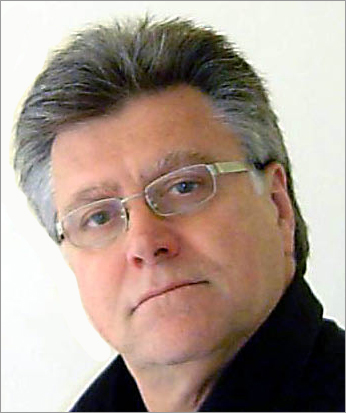 About the author: Russell Alford is a Senior Executive Coach and Mentor with the Stephenson Mansell Group. Since joining in 2007 he has worked with hundreds of Senior Executives and Business Leaders. Many of the executives Russell works with are transitioning from management to leadership roles. In this transition, clarity and impact of message is critically important. Russell‘s background was advertising where he held a CEO role with Leo Burnett – one the world’s most successful global Brand Building agencies. This experience in advertising has enabled Russell to become an expert in assisting executives define and communicate their personal brand message.